Whether on nappies, rompers, pacifiers or baby monitors, consumers spent a total of 7.2 billion euros last year on outfitting their children. This central finding emerges from this year’s study “Sector focus on Baby and Children’s Attire”, by the Institute for Retail Research (IFH) in Cologne and BBE Retail Consulting. In today’s article, we take a look at the market development in the area of baby and children’s needs and show you which products are particularly popular among consumers. Between 2011 and 2016, sales in baby and children’s needs increased from around 6.5 billion to 7.2 billion euros – a total of ten percent. This corresponds to an average annual growth of 1.9 percent, which shows a clear growth potential within the sector. If we take a look at the turnover development of the 15 product groups in the sector of baby and children’s attire, it becomes clear that the consumers’ shopping list mainly includes items such as furniture and initial provisions. In this area, sales increased by 17 percent from 2011 to 2016, which means that this sector has grown more than twice as fast as baby and children’s clothing, including footwear and accessories. For equipping their offspring in just the first three years of life, parents paid out a total of 2.5 billion euros. Developing extremely positively in recent years has been sales in children’s school satchels and backpacks. The turnover here has increased from 2011 to 2016 by 42 percent. Especially in 2016, children’s school satchels and backpacks were in great demand and were able to grow by almost seven percent compared to the previous year. Additionally, parents were highly concerned about the safety of their offspring. This is shown by the rising sales figures in the safety products group. Above all, everyday aids such as baby monitors and stair gates were bought for offspring in 2016. The positive development is also seen in toys. In total, mothers and fathers spent an estimated 3.2 billion euros on toys for their children in 2017 alone – 529 million euros of which was spent on toys for children in their first three years of life. Preferred under this year’s Christmas tree were toys for toddlers (21%), building kits (18%) and games and puzzles (13%), as these toys are currently in enormous demand. 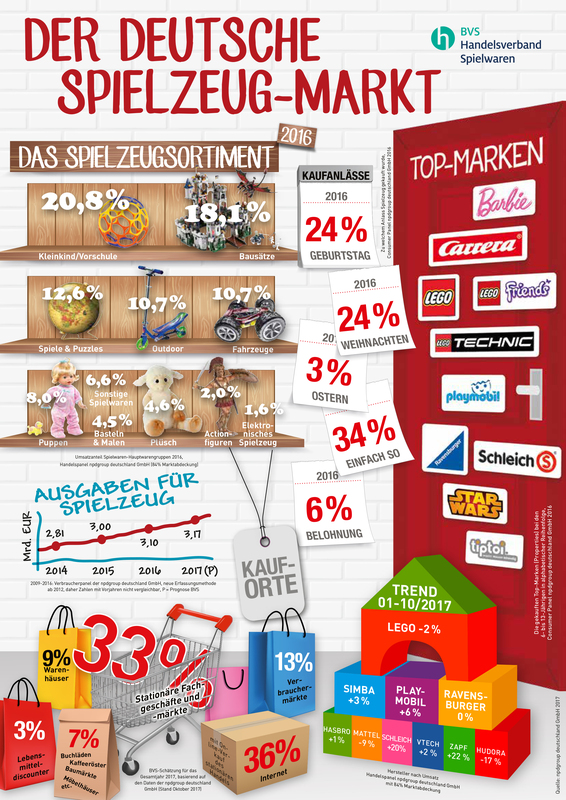 Among the top current brands are Barbie, Carrera, Lego, playmobil and also Ravensburger. “The market is divided in two. For more ‘technical’ products, significantly more money is spent and the willingness to pay has also increased. Clothing and footwear, on the other hand, show stronger polarisation. Alongside the still strong lower price sector, the luxury market has conquered a veritable niche – designer fashion for children was hardly relevant just a few years ago”, said Peter Frank, Senior Consultant at BBE Retail Consultancy. Because of the broad product range in the sector of baby and children’s equipment, product-specific sales channels are possible here, such as baby specialist stores, as well as toy, clothing, shoe and sports retailers. In addition, the wide range of ages – from newborns to young teens – means that products are distributed over a variety of channels. The future outlook, “Retailing Scenario 2020″ from IFH Cologne, shows that online retail is becoming ever stronger and sales figures in stationary retailing will continue to decline. This is made clear by the declared insolvency and associated business closure of the well-known toys chain Toys “R” Us. This, however, was not solely due to competition from online providers in the sector, but was instead mainly down to a huge debt burden upon the company, which had already been the case for several years. Many online retailers have become well established in recent years, which has enormously intensified competition in the sector of baby and child items. According to IFH Cologne, a quarter of the sales in baby and children’s attire will be generated online in 2017. In the toys segment, eCommerce has already surpassed stationary retail. 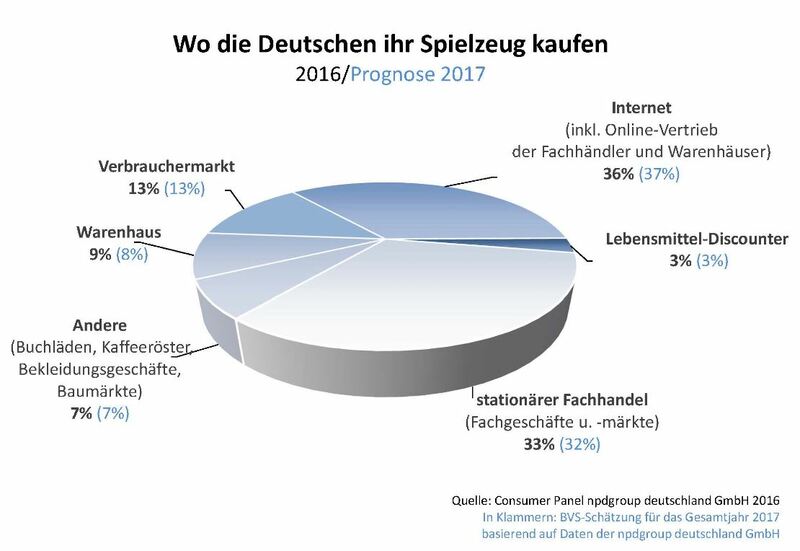 According to estimates, some 37 percent of Germans buy toys for their offspring on the Internet, while 32 percent of them prefer stationary retail here. Because of the wide product range in baby and children’s attire, more and more companies are entering the market. Particularly lucrative to retailers and manufacturers is the business in baby and children’s items such as pushchairs, car seats and baby furniture. “The market for baby and children’s items remains on a growth course. 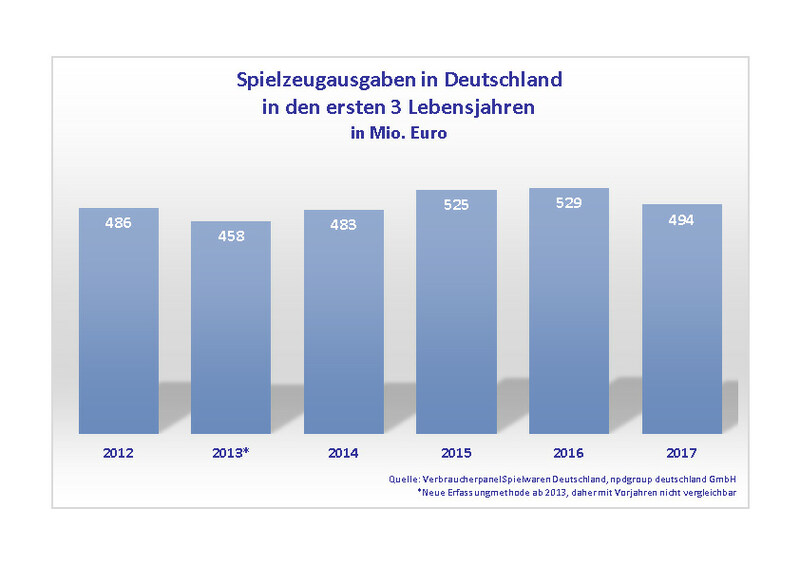 This is due to a continuing slight increase in spending per child, but above all to the once again growing number of children in Germany. More children are being born and increased immigration over recent years has also raised the demand base. In the future also, it can be expected that the market will develop positively”, said Hansjürgen Heinick, Senior Consultant at IFH Cologne. The market for baby and children’s supplies is a challenging sector with intense competition. The number of providers who carry a variety of similar and identical items within their product range is virtually incalculable. For business success, a precise overview of the market is well worthwhile. Only those who can reliably recognise competitors’ offerings and pricing strategies can make better decisions about their own prices and assortments. With blackbee, you have the online-market for baby and children’s attire always in view. The unique matching technology and outstanding data quality of blackbee offers you distinct competitive advantages. Test blackbee now! eCommerce top trend 2018: Evaluating and utilising valuable data 2017: An eventful year for blackbee.